Our little grandson, Brusselsprout, recently turned six years old. He’s always been interested in the garden, for both its bugs and it’s food. This year he decided that he needed his very own garden, in our front yard. I was thrilled that he came to this decision on his own. His parents and I have been tossing around the idea of building a vegetable garden at their home, but we haven’t got around to it yet. He grabbed his rake and started clearing the garden patch of tiny sticks and leaves. Once his bucket was full of debris, he dumped it in the compost pile for the worms. Next, it was time to plant seeds! He selected pumpkin seeds, carefully counting out three special ones to plant. I noticed a couple of the seeds floating in a puddle that formed while he was watering, but he assured me that they would be fine. As Brusselsprout was getting ready to head home after an afternoon of gardening, he asked me to build a fence for his new garden, “so things won’t get mixed together”. How could I refuse such a cute request? 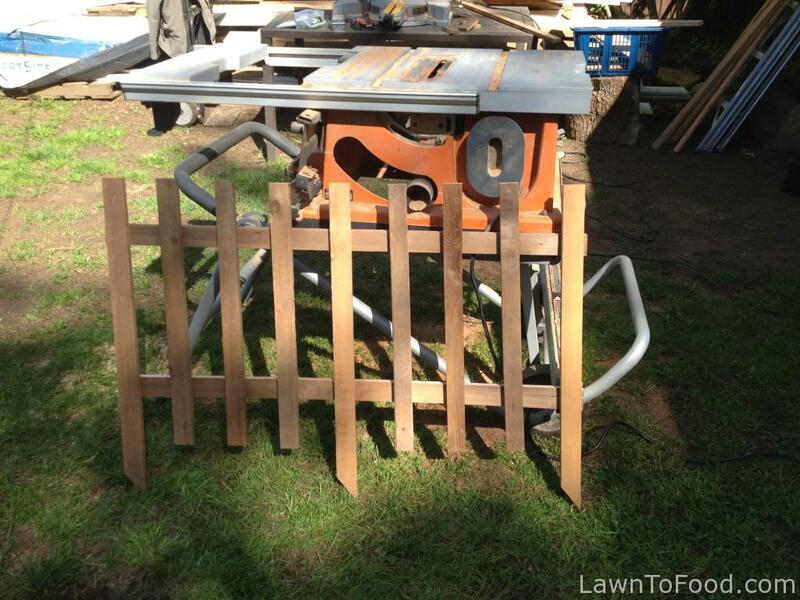 Later that evening, I made him a picket fence from a few cedar boards that I ripped into strips. I decided to make two picket sections that are each 42″ long and 28″ high. Using a 45 degree cut on the staking part, made it easier to hammer the picket section into the soil. 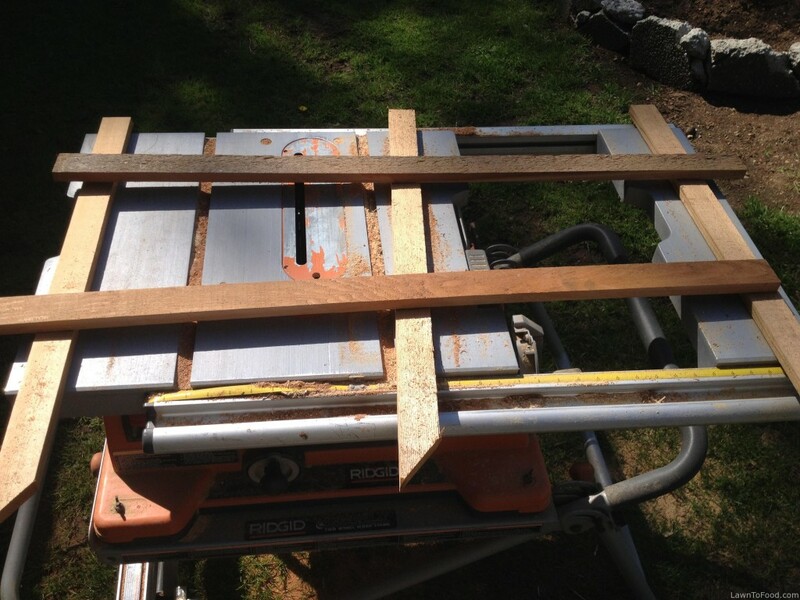 I used 1″ screws to attached the boards together. Here is the first picket section completed and ready to define Brusselsprout’s vegetable garden space. The picket sections are set in place! I also added three stepping stones so that he can walk through his garden. 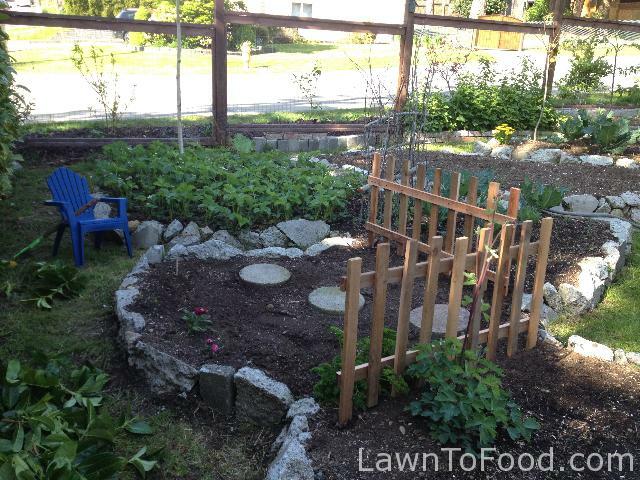 Helping children connect to their food in a garden, is also a great avenue for gaining self esteem, as they can do almost all of the tasks on their own. 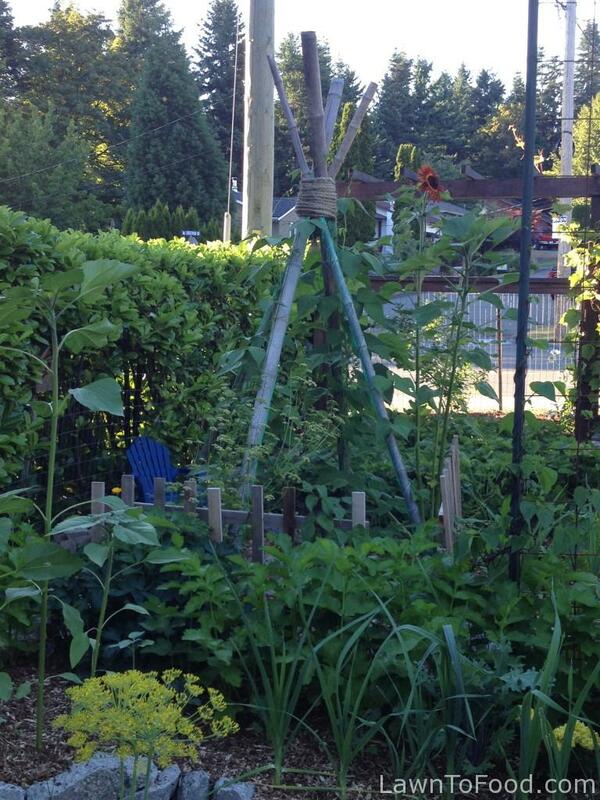 Learning to have appreciation for the earth, and how to grow organic food, is a valuable lesson for everyone. Lets help children gain this knowledge at a young age, so they build a passion for nourishing themselves. 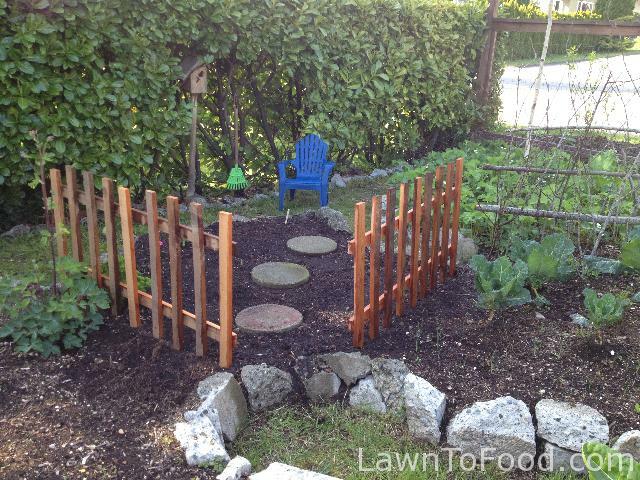 This entry was posted in Cool Carpentry Ideas, Gardening w/ Kids and tagged bean teepee, children, kids, play, space, yard by Lynda. Bookmark the permalink.